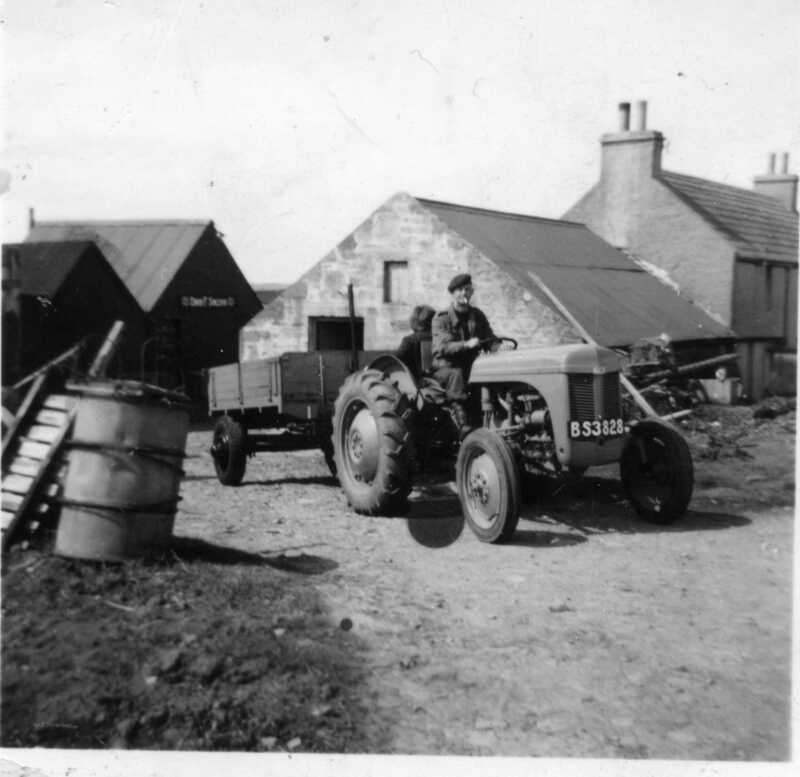 “In the small hours of Thursday, February 19, Flotta lost one of its leading residents in the death after a short illness of Mr David Sutherland, The Smithy. 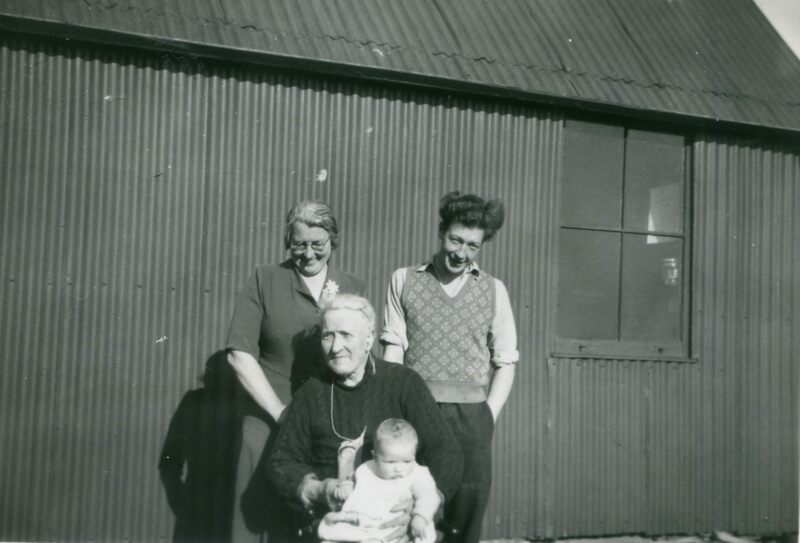 Born just a month under eighty-five years ago at Berriehill, St Ola, the youngest son and one of eleven children of the late Mr & Mrs Jas. Sutherland, Windbrake, Flotta, he was afflicted with deafness from the age of seven by an attack of scarlet fever which carried off two of his brothers and affected the hearing of another. 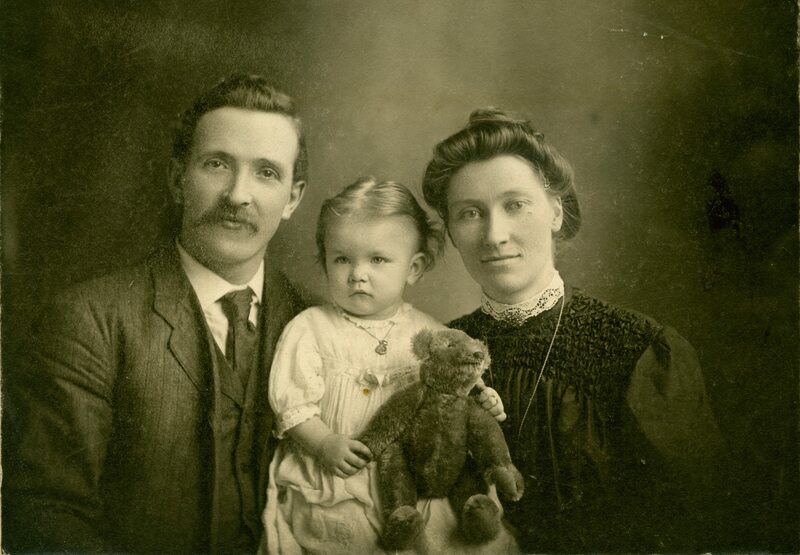 Following his schooling at the local school, Mr Sutherland emigrated to America in 1893 in common with many other Orcadians of the time and, after a short spell of hotel work, entered the service of the then rapidly expanding Michigan and Central Railway whose headquarters were at Chicago. 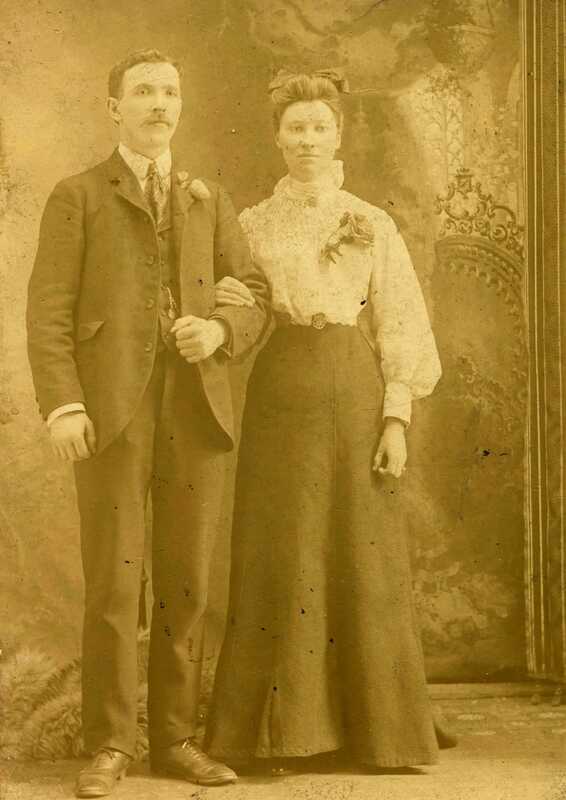 During a period at home between 1901 and 1903 he married Miss Jean Nicholson of The Smithy, Flotta, with whom he then returned to Chicago for a further six years before deciding to settle at the home of his wife in 1909. There, he worked the land and opened a general merchant’s shop and there too, he began a half-century of active interest in all the public affairs of the parish and participation in most of them. 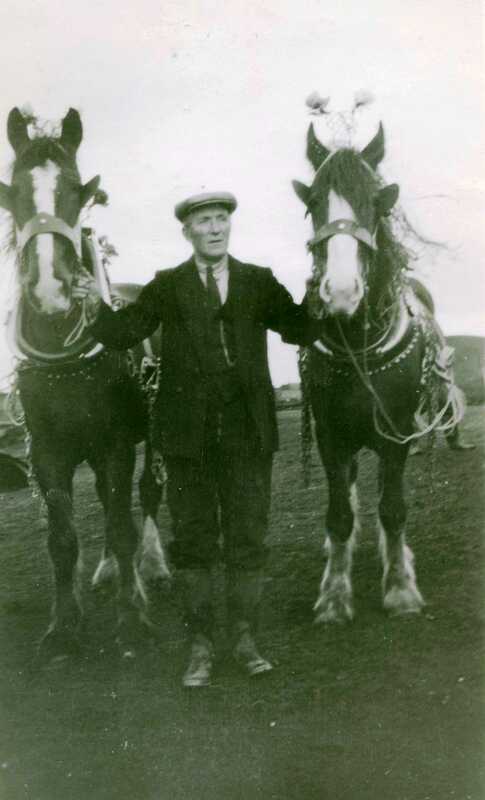 Local records show that over that span of years Mr Sutherland had held office as president of the Flotta Ploughing Association, secretary of the Cattle Association and for many years following the retirement of the late Rev. Mr Mitchell until the advent of the National Health Service in 1948, he held the important and responsible secretaryship of the Flotta Medical Association. 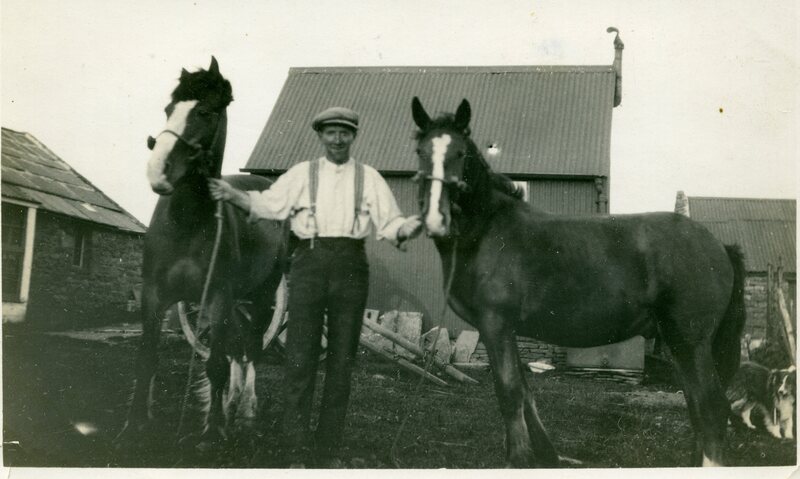 Apart from these activities, Mr Sutherland also acted for many years as Flotta correspondent of ‘The Orcadian’ and ‘The People’s Journal’ and through their columns and in many other ways fought for the rights of the islanders in the improvement of medical services, transport, roads and pier facilities; always meticulous and exact in his ways, he has kept records of press-cuttings and correspondence in connection with all these matters in which he interested himself, and these constitute in themselves a fascinating record of change and improvement – and, also, alas, decline – in the affairs of a small Orkney island parish over half-a-century. 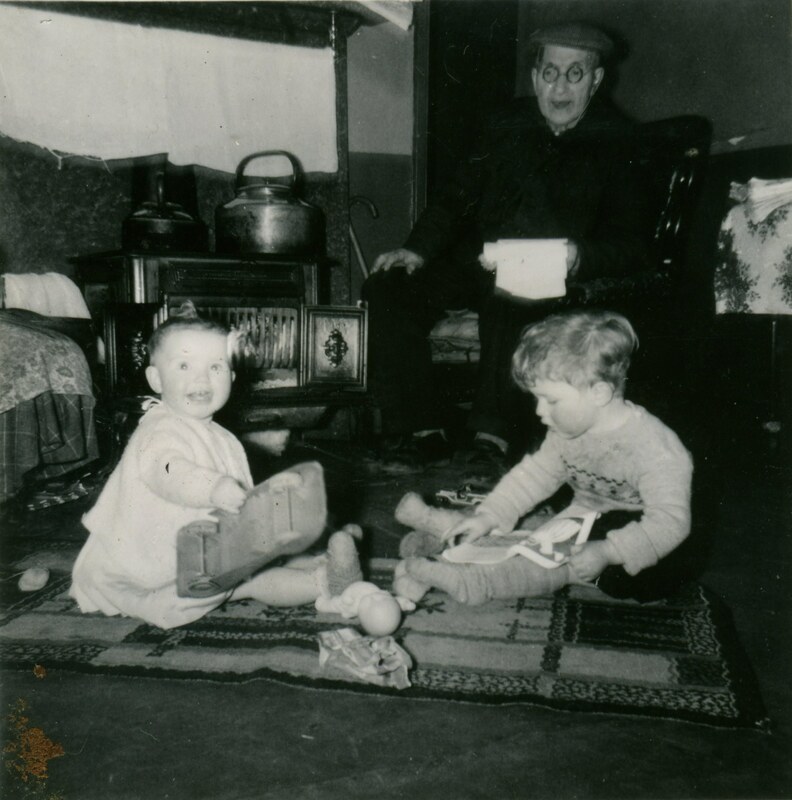 Nor did the historical aspect of the life of his native parish escape his notice, for Mr Sutherland has left records dating back over two hundred years pertaining to the population and rents payable on each Flotta croft; these figures show, among other things, how in his own lifetime the population has declined from nearly 500 to under 140. Until only about a year ago the deceased was able still to take active part in the running of the business and, seated on his familiar stool in the shop, was always ready for a crack with the customers as they came and went, so that it was a source of wonder to young and old alike, Flotta-born and “ferry-louper,” how he could keep himself so up-to-date with local and national affairs, despite his advancing years and the increasing degree of hardness of hearing they brought with them. 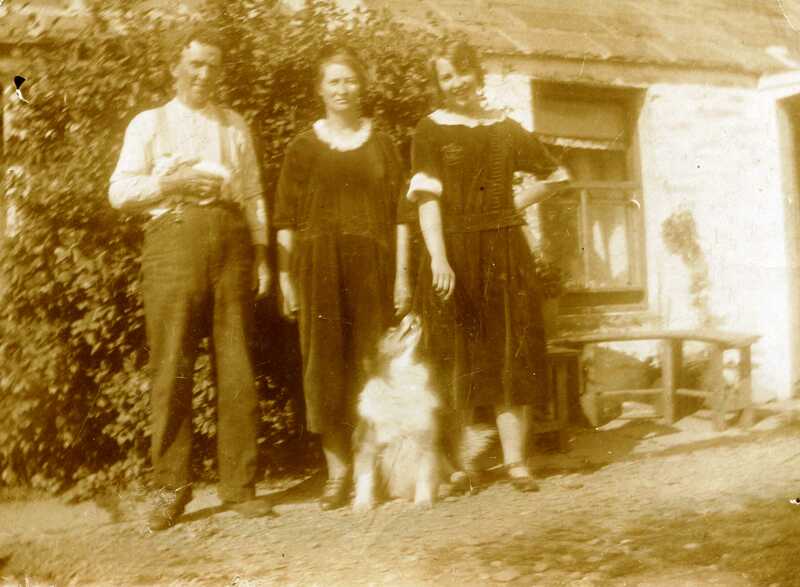 In his later years Mr Sutherland had the pleasure and satisfaction of being always surrounded by his family and by children, for not only did his daughter, Hope, make her home at The Smithy with her husband, Mr Donald Sinclair, and presented him with a grandson, David; but he on his marriage had also presented him with two great-grand-children. To all these members of the family, therefore, the sympathy of the whole community goes out in their loss which is also sustained by the inland in the passing of a fine gentleman who, while enjoying his own interests of home, family and business, could always, at the same time, look further afield and champion the welfare of the community as a whole. Sadly, Dave’s shop burned to the ground in 1961, along with many of his historical records.